Updated 2/22/17. Another 5 years have passed and the State Board of Equalization (BOE) still has not eliminated the loophole that allows property owners to avoid reassessment on a joint tenancy transfer at death to a person not eligible for exclusion as a spouse, registered domestic partner, cotenant, parent, or child of the transferor. As amended in 2013, the regulations continue to provide that tenants-in-common can transfer property to themselves as joint tenants and become original transferors under Rev & T C §65. This means there will be no change in ownership on the subsequent death of a joint tenant. For example, siblings receiving property as tenants in common on the death of a parent may postpone reassessment until the death of the survivor by retaking title as joint tenants. See 18 Cal Code Regs §462.040(b)(1), Example 4; Letter to Assessors No. 2013/044 (Sept. 2013). Here’s how it works. Under Rev & T C §65, joint tenancy property is not reassessed as long as an “original” transferor remains on title. For example, if A and B as joint tenants grant Blackacre to A, B, and C as joint tenants, and then A dies, the property is not reassessed because B is an “original” transferor. The rule allows joint tenancy to be used for estate planning purposes. In 2003, there was no exemption from reassessment for domestic partner transfers, so the BOE amended Property Tax Rule 462.040 to allow those partners to transfer joint tenancy interests to each other in trust and be treated as original transferors. For example, A and B grant to A and B as joint tenants, A leaves his interest in trust to B and B leaves his interest in trust to A, and then A dies. The property is not reassessed because B is an “original” transferor. The rule also allows other persons not eligible for an exclusion, such as unmarried partners or siblings, to avoid reassessment on joint tenancy transfers. In 2007, the legislature and created an exemption for domestic partner transfers under Rev & T C §62(p). The California Assessors’ Association (CAA) then petitioned the BOE to amend Rule 462.040 to eliminate the loophole. Letter to Assessors No. 2007/010 (Feb. 23, 2007). Not so fast. On May 21, 2007, the BOE issued another letter stating that the interested parties process was being delayed indefinitely at the request of the CAA. On February 12, 2012, the BOE received a new petition from the CAA seeking to close the loophole. The comment period ended on July 6, 2012, and an interested parties meeting is scheduled for August 27. The current regulation remains in effect until “one day before the effective date” of the proposed amendments. But you have to act fast. For example, siblings receiving property as tenants in common on the death of a parent may be able to postpone any further reassessment until the death of the survivor by retaking title as joint tenants. Siblings or unmarried partners who might otherwise contemplate taking title as joint tenants should consider taking title as tenants in common and then retaking title as joint tenants, thereby becoming original transferors under the current regulation. The current regulation will cease to apply to joint tenancy transfers made before November 13, 2003, so joint tenants who acquired property before that date may wish to transfer the property to themselves as tenants in common and then retake title as joint tenants to avoid reassessment until the death of the survivor. These and other more exotic possibilities for transfer strategies were discussed in the April 2007 and October 2012 issues of CEB’s Estate Planning & California Probate Reporter. 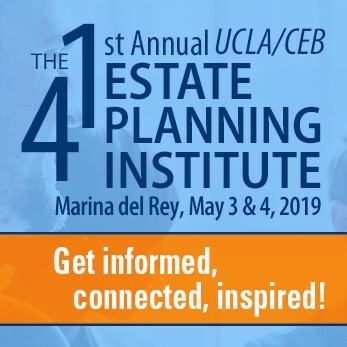 Also check out CEB’s California Estate Planning §15.10 and CEB’s award-winning California Trust Administration §13.53B. ← When Is a Tip Not a Tip? There is no sibling exclusion. So you would have to use something else if one sibling already owns the property. (For example you could transfer a half interest to a parent and then the parent could transfer it to the sibling using the parent-child exclusion. But you have to file exclusion forms and there’s a chance the assessor could attempt to apply the step transaction doctrine if the steps are too close together.) What you can do now but may not be able to do for much longer is if siblings take title as tenants in common or already hold property together they can transfer it to themselves as joint tenants. Then when the first one dies the transfer of their half interest to the other is excluded. If the two TIC siblings transfer to Joint tenants, and then one sibling gifts via quit claim deed to the other sibling, does this work? Should there be a lapse in time to avoid the step transaction here too? TIC ? can you please explain. So you mean I can add my sister as joint tenant without having reassessment. Then quit claim later, is 2 years good enough time. The thing the loan in my name and I was helping her buy the house because she can’t qualify. In my example, Brother (B) and Sister (S) hold title as Tenants in common (TIC). It is my understanding B and S, as TIC, can convey to B and S, as Joint Tenants (JT) = no reassessment. Now, B and S, are original transferors. The original transferor rules, say, if B or S dies, there is no reassessment and survivor inherits with no reassessment. I want to know if B can gift his interest to sister during life, and still avoide reassessment. I have been advised by, attorney colleagues, that to avoid the step-transaction doctrine, there should be some time between the 2 steps I propose above. I am hoping the author will comment and confirm my understanding of this rule. Where there are 4 siblings holding a property as tenants in common in equal shares, can 2 siblings transfer their interest to one of the others without reassessment? One original sibling would still hold a 25% interest and the other would now have a 75% interest. Paul, I don’t think so. Here’s the problem: The four siblings could (1) deed the property to themselves as joint tenants (making them original transferors) who could then (2) deed the property to two of them as joint tenants, who could then (3) deed the property to themselves as tenants in common without reassessment. But joint tenants always have equal interests. 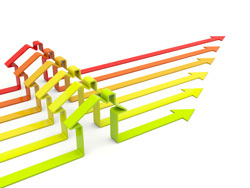 In your example, there would be need to be a further 25 percent transfer from one to the other to get the 75/25 split. Still, it seems this would only be a 25 percent transfer rather than a 50-percent transfer if you did it directly. Two cautions: Everyone affected would have to go along with each step of the transaction. Also, the assessor might try to collapse the transaction using the step-transaction doctrine if the steps are too close together in time. Good luck! These are separate issues. I can’t comment on specifics, but here are two general points. The parent-child exclusion is unlimited for the parent’s primary residence. For other property, there is a lifetime exclusion of $1 million of assessed value per person. A claim must be filed for the exclusion reporting the amount of the transfer and any prior transfers so assessors can keep track of the $1 million limit. When parents who own property outright create a joint tenancy with a child and then transfer the property to the child, the result is a taxable gift of the fair market value of the property in excess of the annual exclusion (assuming no other gifts to the child that year) on the date of the transfer and a gift tax return should be filed reporting the gift. An appraisal is recommended to start running the statute of limitations on revaluation of the gift if the parents have enough to be concerned about the estate tax. Good luck. My mother in law ,wife and my self are all joint tenance. My mother in law would like to quit claim her name off the property will they reacess for taxes at that time? I’m sorry, but we cannot provide any legal advice.